Ever wonder why glacial ice appears blue? 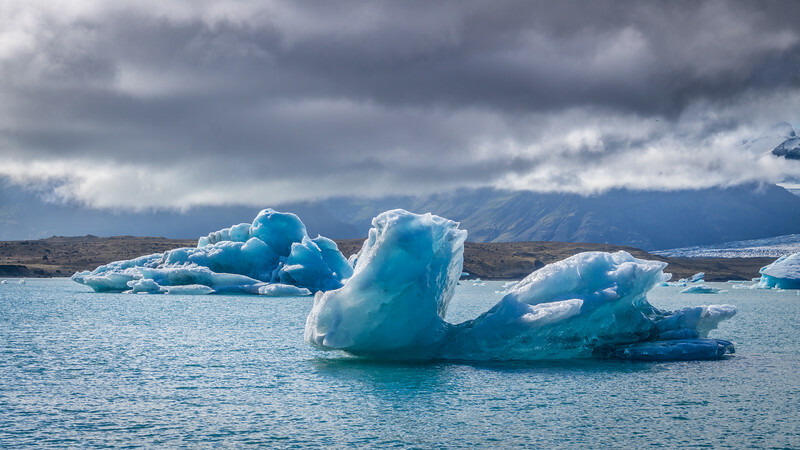 Glacial ice is heavily compacted over a long period of time, which reduces the size and number of air bubbles within the ice (ice is full of air bubbles when it first freezes). Without the light scattering effect of these air bubbles, light is able to penetrate much deeper into the dense ice. Longer wavelengths of visible light (reds/yellows) are absorbed with greater efficiency than the shorter wavelengths (blues) which are reflected and scattered, giving the ice this gorgeous blue/turquoise tint.